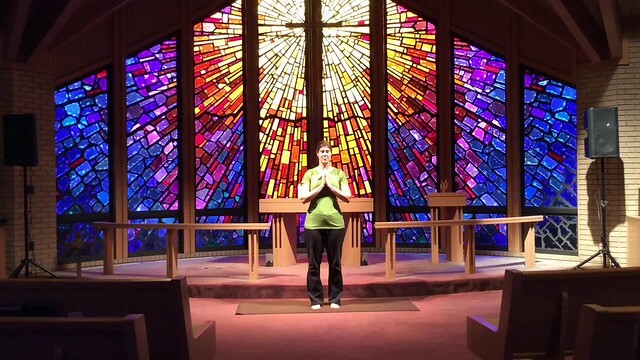 this full body practice of prayer. This week, we hear of Christ's final breaths in Luke 23: 44-46. In Christie Purifoy's Roots and Sky pp. 124-125, she shares some of Christ's final words on the cross. She reminds us of the Psalm that Jesus quotes, "My God, my God, why have you forsaken me?" We learn that this psalm ends, not in despair, but with hope. What is being redeemed or resurrected in your life? How can you proclaim the good news that it is finished, even when all feels unfinished? 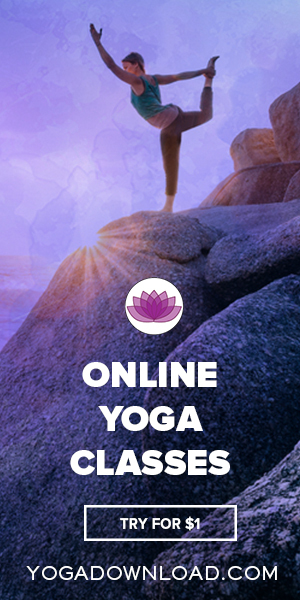 Looking for a full-length yoga practice? Click the button below and join me for an hour-long class. For week four of Lent, we read from Matthew 26:69-65 and we remember Peter's denial of Jesus. In Christie Purifoy's Roots and Sky pp. 121-122, she reminds us that we are getting nearer to the day when we remember the rejection of the Christ, not only Peter's rejection, but the world's rejection. How do you participate in the rejection of Christ? What do the last words of Christ have to offer us who are living in the “in-between”? Just as Winter reminds us of death, may we remember Christ's rejection, that we may then, with Spring, celebrate new life. to become children of God." As we begin the second week of Lent, journeying to the cross, we remember how Judas betrayed Jesus. How have you felt betrayed or uncertain of the future? What are the winds in your life that threaten your faith? Perhaps this scripture might be a handhold on a windy day? "Though I have fallen, I will rise. The Lord will be my light." 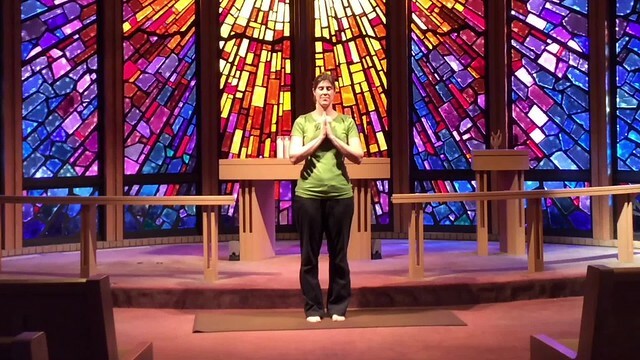 This Lenten season, join us for prayer and yoga! 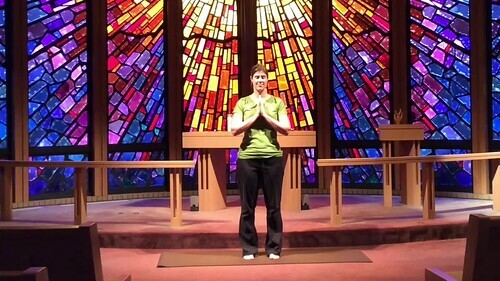 Each week I'll post a video demonstrating the week's prayer vinyasa (the yoga word for sequence of poses =)) and a printable prayer card for you to use throughout the week. I'm also offering a full hour-long practice that you can download for a donation, just click the button below. If you want to do it together with a group, I've also got a group package available on that same page. 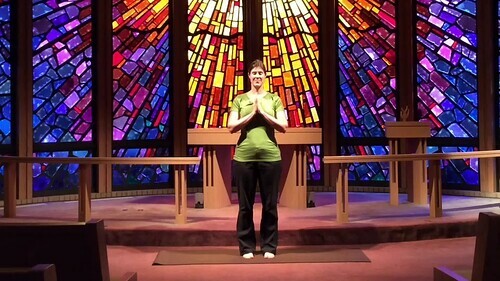 Yoga has proven to be a great complement to my spiritual life - I hope that this Lent it will offer you another way to make space in your heart and life to hear that still, small voice of God. for they will be filled." In what ways are you “keeping watch” this Lenten season? Is there something you are giving up for Lent? Some way you are cultivating emptiness, to give God new space to fill? What do you hunger for? One of my students graciously agreed to record our Beginner & Intermediate classes at MACC so that students could practice yoga over the break! Thanks, Kasy! Praising God continuously can be a huge task, but when we slow down to appreciate the beauty in the world around us, we are beginning to learn the practice of praise.